Full insurance is available to successful Graduates of the Diploma in Chakra Dancing and Creative Meditation. 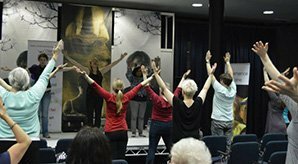 This unique Diploma is the only practical based training course in the UK where like minded students learn together how to heal the body, our individual and collective selves through movement, dance and creative meditation. This challenging and rewarding course will take students on a journey of self-discovery and transformation and empower others to find happiness in themselves. Lizzie Clifford and Gina Yiannis will prepare students to lead Chakra Dancing workshops and classes that will free up natural energy flows, harmonise and balance the chakras, strengthen our state of health and well-being and have fun! Graduates will be supported by Chakra Dancing Ltd to facilitate the self and others towards a deeper sense of being with empathy, integrity, compassion and unconditional love. Chakra Dancing is an exhilarating, powerful, liberating and ultimately an ecstatic approach to improvisational movement, open to everyone, no matter what age, shape or experience, bringing people together and exploring how we can assist each other using free expression through movement, dance and creative meditation. Expanding on the work of Chakra Dancing, the course will develop a network of therapists to meet and deliver to the increasing demand for Chakra Dancing workshops and creative meditation across the UK. The course will provide an in-depth study into aspects of emotional, somatic, psychological and spiritual healing and growth. A strong grounding of knowledge of light working will be related to the body’s seven major chakras and their influence on the auric field layers of the self and others. Further study will examine their relationship to elementals, cerebrospinal locations and their effects on the endocrine system. Students will also learn other complementary energy healing tools for creative use in Chakra Dancing workshops such as sound, colour, light, creative meditation, and visualisation which correspond to each energy centre. Issues of health and safety, good practice, working with children and vulnerable members of our community and most importantly self-awareness in dance teaching will be covered in detail. Graduation – Graduates from the practical five day training course in Sussex and online studies course will become a qualified therapist able to lead dance workshops and classes that will take themselves and others on a journey through the chakras to help heal the mind, body and soul. Chakra Dancing Ltd will support committed members who have trained in the teacher training Diploma course and help promote, recommend and refer therapists. 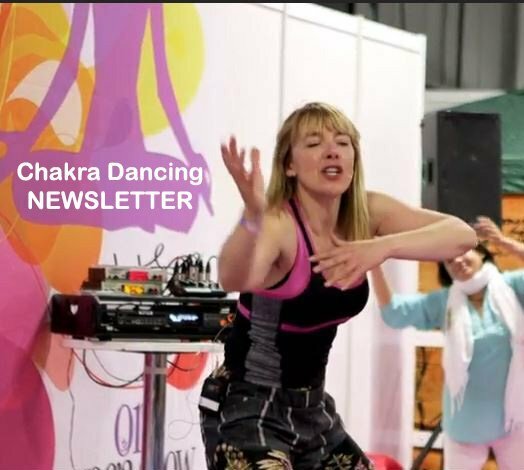 Successful graduates will be awarded the Diploma in Chakra Dancing teacher training, an exclusive music licence to use the Chakra Dancing music range and be admitted to the register of Chakra Dancing therapists at chakradancing.co.uk. The Diploma has an initial online home study course to prepare the student for the exhilarating 5 day practical training programme from 24th – 28th April 2019 in Sussex. The Diploma course will be held at the founder’s full time healing practice. Set in eight acres of quiet unspoilt countryside at the base of the South Downs National Park, facilities include comfortable large barn style classroom / dance studio, individual therapy rooms, and meditation garden: Total time of course 120 hours. Once accepted on the Diploma course and module one payment received, the online home study course will be available to you: A comprehensive Diploma course handbook with over 100 pages and with video clips and a copy of the Chakra Dancing CD to work with. This prepares the student for the rewarding five day training retreat in the National Park Sussex with Lizzie and Gina, accomplished and respected spiritual health fitness experts in their field of excellence. 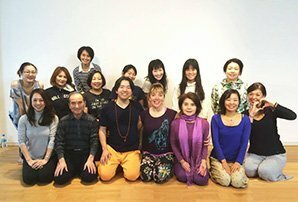 Some students may only wish to use the five day training course to experience Chakra Dancing and creative meditation for themselves, others may want to commit to fully completing the teacher training programme and take module two: A comprehensive online study course to complete their training. There are a selection of beautiful B&B’s in the National Park within a 5 minute walk of the Diploma. Good rail links from London Victoria to Burgess Hill 55 minutes (nearest train station).